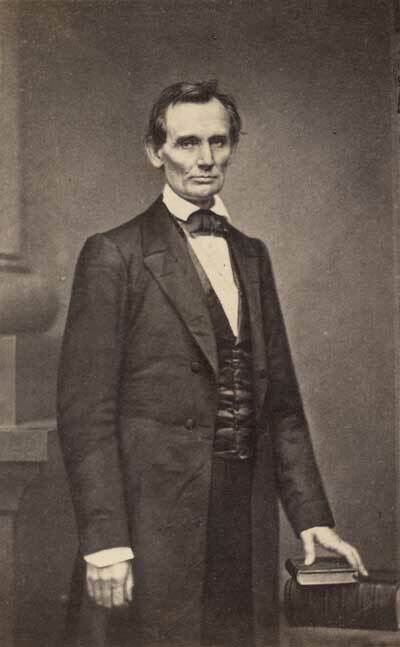 On February 27, 1860, Abraham Lincoln gave his famous "Right Makes Might" speech at Cooper Union. That same day, he went over to famed photographer Mathew Brady's studio at Broadway and Bleecker Street where he sat for an official campaign portrait. 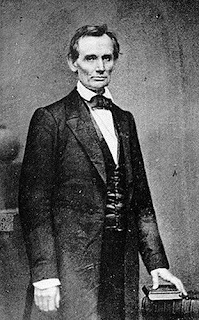 Lincoln would later credit the speech and the photo with making him president. One of the skills that made Brady such an acclaimed photographer was his ability to retouch in the darkroom. In this Lincoln portrait, lines are erased from the candidate's face and his wandering left eye is straightened. While Brady's Tenth Street studio is gone, the building that housed his downtown studio still exists at 359 Broadway, an area that is rich with Civil War-era architecture. CORRECTION: An earlier version of this post misstated at which of Brady Studios Lincoln sat for his portrait. It could not have been the studio at Broadway and Tenth Street (despite what you may read in various reputable sources), since that studio did not open until later in 1860. 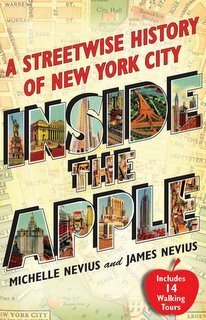 Read more on Lincoln and New York in Inside the Apple: A Streetwise History of New York City. Quite a number of U.S. Presidents have had connections to New York City, from George Washington--who was inaugurated on Wall Street--to Barack Obama, who graduated from Columbia and lived in Morningside Heights. Follow us on Twitter and Facebook here. Today marks the two-hundredth birthday of Charles Dickens, the greatest Victorian novelist and one of his era's keenest social observers. 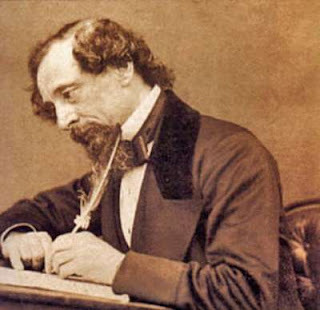 While he is best known for his descriptions of 19th-century London, Dickens also wrote a famous travelogue of his 1842 trip to the United States, which included a stop in New York and a visit to the notorious Five Points. You can read more about Dickens and the Five Points at this earlier blog post (as well as in Inside the Apple). And if you can't get to Westminster Abbey today to visit the author's grave (where Prince Charles will be laying a wreath), you can visit the Morgan Library, where the "Charles Dickens at 200" exhibit is running for one more week. 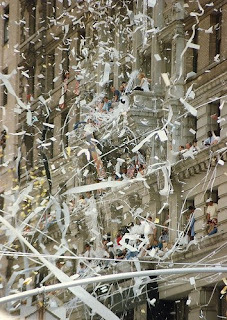 Is it too early to talk about a ticker tape parade? Now that the Giants have edged the Patriots in the Super Bowl 21-17, it's time to start planning the ticker tape parade on lower Broadway (no matter what Chris Christie says). More information to follow -- and, you can read about the history of the ticker tape in depth in Inside the Apple. UPDATE: It's not too early. The parade will be on Tuesday, February 7, at 11:00 a.m. Read the city's official press release at http://on.nyc.gov/w5s6mv.